Upon receiving confirmation that your quotation was acceptable you would change the Job Status in the Quotation Form to P O Recieved. 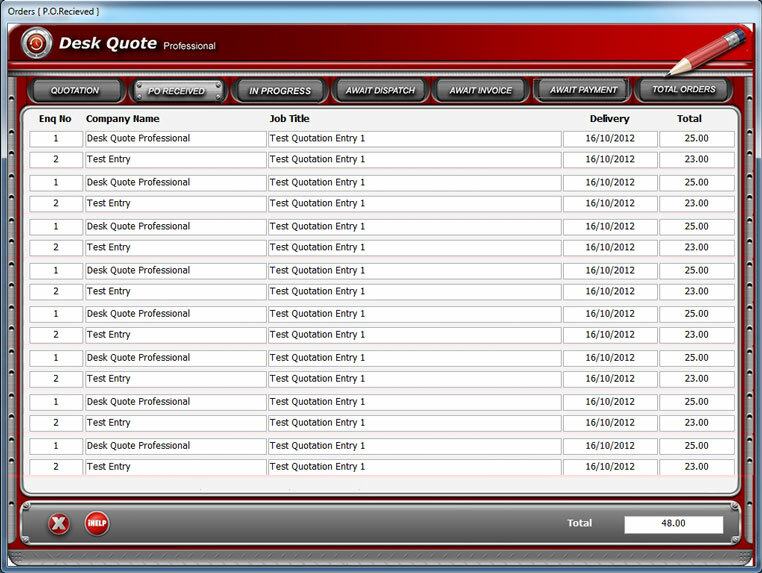 After changing the job status the enquiry will then automatically move to the P O Recieved Form. All your current work awaiting manufacture, production or to be resold on will be kept in this form. When your job is ready to be processed click on the product name text box. 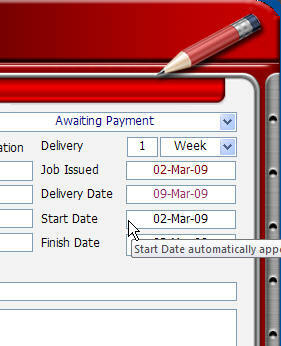 After clicking the product name text box the Job Issued Status Change form will appear as shown in Fig (1) below. 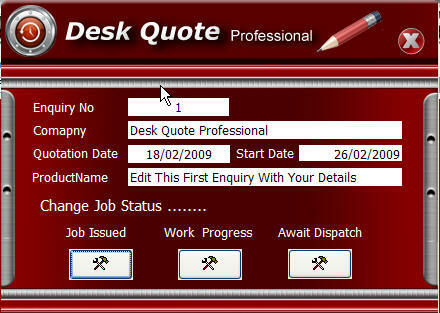 Click on the Work Progress button and a message box will appear asking you if you want to change the job status click yes to this message then another message box will appear asking if you would like to print a job sheet, click yes to print a job sheet or no to just move the status from job issued to work in progress.